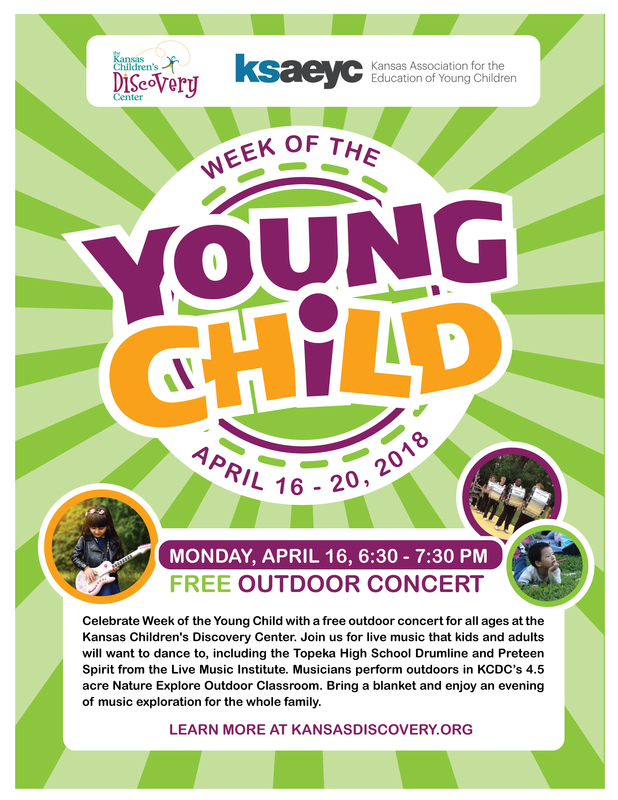 Celebrate Week of the Young Child with a free outdoor concert for all ages at the Kansas Children's Discovery Center, hosted by the Kansas Association for the Education of Young Children on Monday, April 16, 2018 from 6:30 PM to 7:30 PM. Join us for live music kids and adults will want to dance to, including the Topeka High School Drumline and Preteen Spirit from the Live Music Institute. Musicians perform outdoors in Kansas Children's Discovery Center's 4.5 acre Nature Explore Outdoor Classroom. Bring a blanket and enjoy a night of music exploration for the whole family.